“Coca-Cola Sri Lanka believes in investing in its people, so that they can be better leaders for tomorrow” said Kapila Welmillage, Country Manager, Coca-Cola Beverages Sri Lanka Limited, speaking about the completion of another year for the Coca-Cola Toastmasters Club. 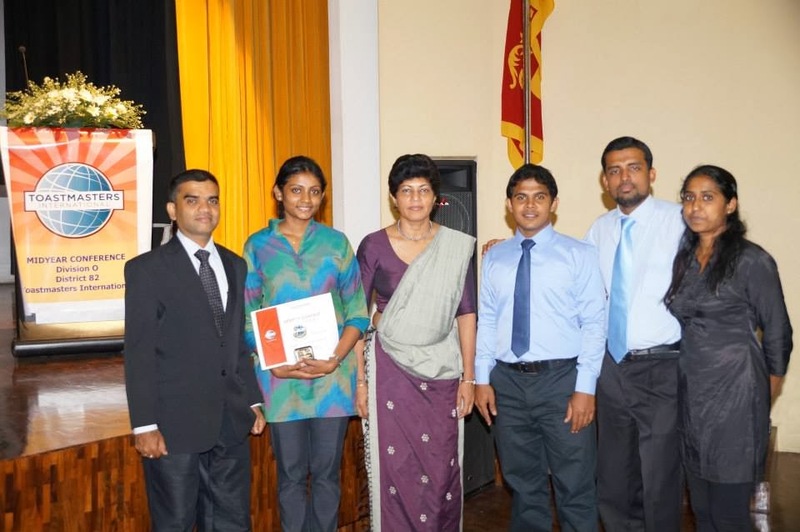 The Coca-Cola Toastmasters Club, presided over by TM Shama Mithraratne, has 24 members who meet twice a month and is mentored by the Country Human Resource Manager, TM Nilanthi Jayathileka. The Club, set up with the objective of enhancing communication and leadership skills, provides employees with various opportunities and forums like discussions, debates, conferences and off-sites to enhance skills and prepare for divisional competitions and conferences. The Company organized a CCBSL Toastmasters Inaugural event that involved a Speech Craft program in early 2013, post which a competition for Impromptu Speeches was held to choose two participants for the Area level Impromptu Speech Contest at the CCBSL Technical Training Centre. The winners, TM Sandiya Shanmugam and TM Maithree Attanayaka also participated in the Area H Impromptu Speech Contest organized by the Area Governor. Other Toastmasters Clubs that participated were BEPZ Toastmasters, SLIIT Toastmasters and Fusion Toastmasters. The topic of the Area H Impromptu Speech Contest was “If life can be changed” and Coca-Cola’s Toastmasters were place second. “We are very happy to have been able to provide our employees with these opportunities that add value to their personal and professional development. We believe that strong communication skills offer a unique advantage in many workplace situations and we take care to structure our programs so as to suit the needs of our participants.” said Country Human Resource Manager, Nilanthi Jayathileka, who is also the mentor of the Coca-Cola Toastmasters Club. Coca-Cola in Sri Lanka has established numerous HR processes to empower employees and provide them with opportunities to develop their skills and talents within the company. In 2013, the Company won the Global HR Excellence Awards – for Talent Management, the Global HR Excellence Awards - Best Employer Brand, and the Global HR Excellence Awards - Outstanding Contribution to the cause of Education at the World HRD Congress. In 2014, the Company plans to develop more events as part of the Coca-Cola Toastmasters Club, inviting Toastmaster Veterans and other leaders to motivate employees and help them in developing their personal brand. Toastmasters International is a non-profit educational organization that teaches public speaking and leadership skills through a worldwide network of meeting locations. Headquartered in Rancho Santa Margarita, California, the organization has more than 292,000 memberships in more than 14,350 clubs in 122 countries. Since 1924, Toastmasters International has helped people of all backgrounds become more confident in front of an audience.